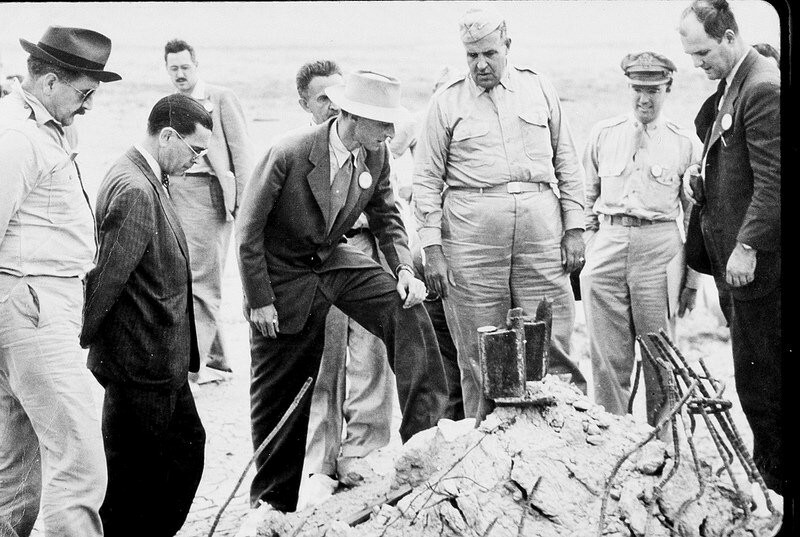 On July 16, 1945, the United States tested the world’s first nuclear device in the desert of Alamogordo, New Mexico, ushering in the Atomic Age. 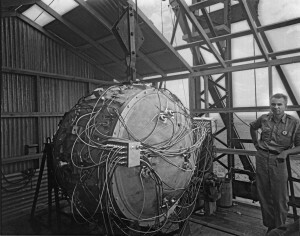 Development and production of the atomic bomb began during World War II because of fears that Nazi Germany would develop one. For nearly three years U.S. scientists, scattered at various top secret sites across the country, worked feverishly to develop this weapon. And, though the war in Europe ended before the bomb was finished, development of the weapon continued. To the scientists working on this bomb, it was known as the Gadget. The Gadget’s core was made from plutonium. 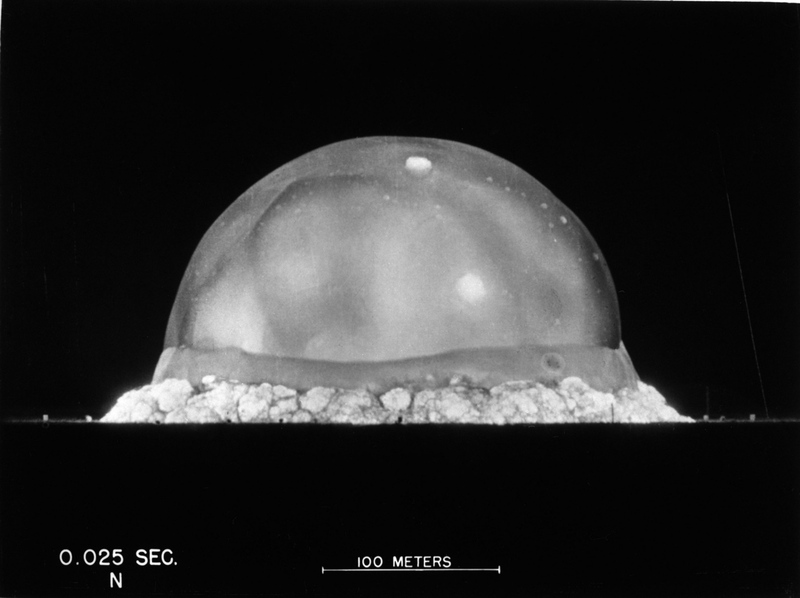 Perfectly synchronized conventional explosives surrounding the plutonium sphere rapidly crushed it increasing its density and starting a self-sustaining nuclear chain reaction. 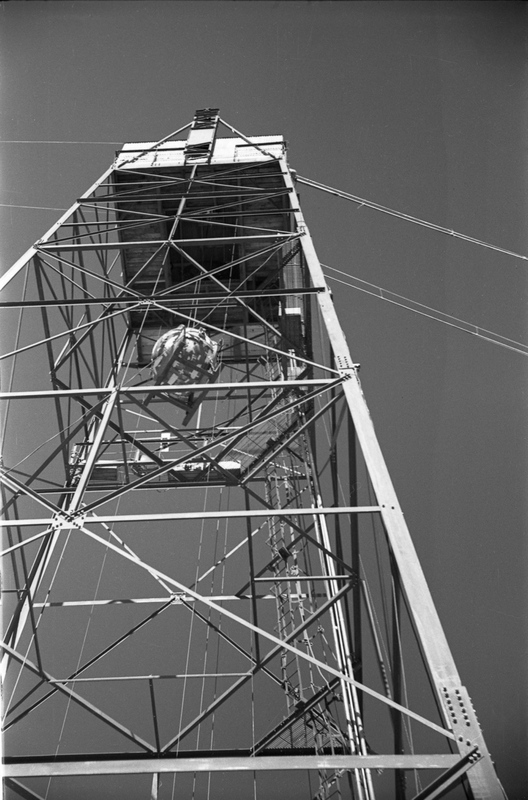 For the test, code-named Trinity, the bomb was hoisted up a 100-foot steel tower. 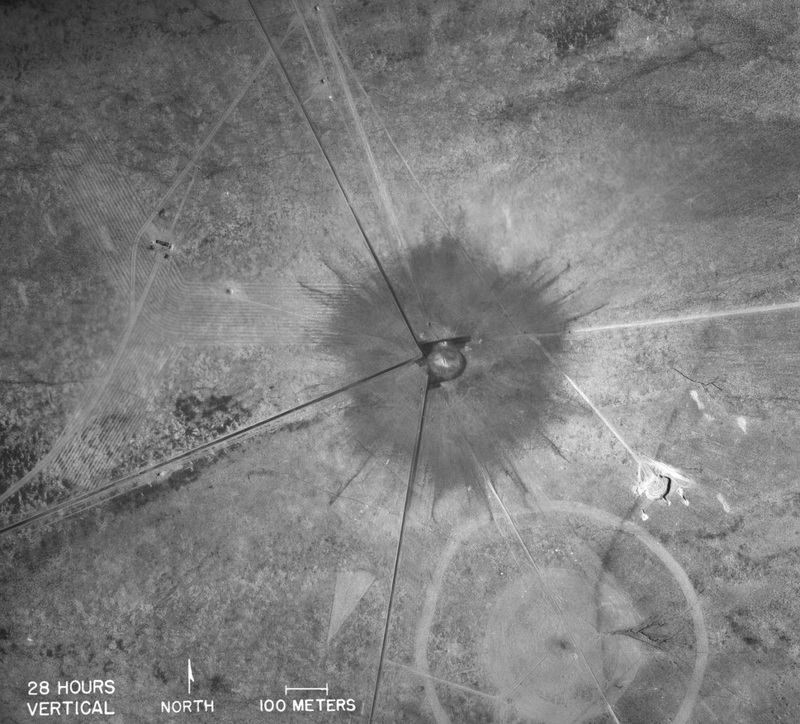 Observers watched the test from a shelter located more than 5 miles from the explosion as well as a base camp 10 miles from the explosion. 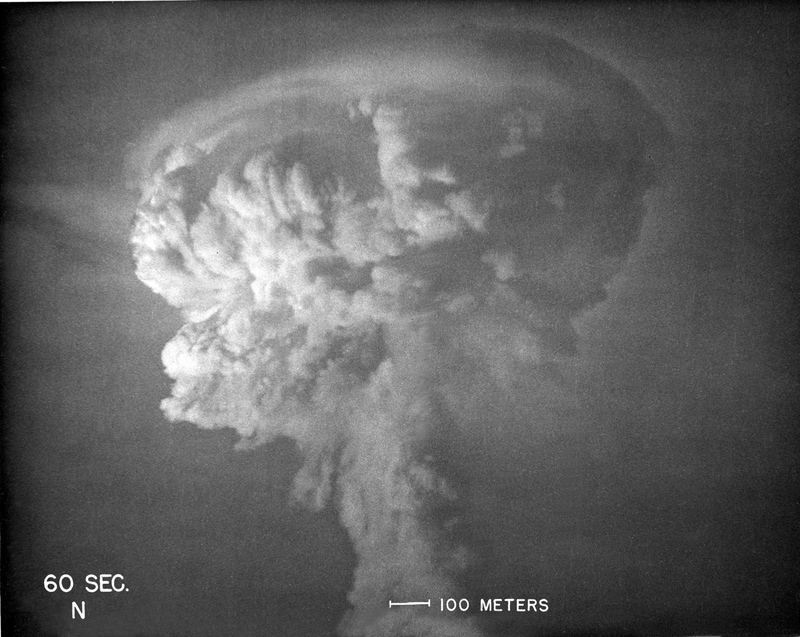 The explosion was equivalent to detonating 21,000 tons of TNT and released enough energy to power a modern American home for over 2000 years. It obliterated the steel tower, and turned the sand to green glass. Several observers standing more than 5 miles away were knocked flat from the explosion. The sound was heard up to 100 miles away. A window 125 miles away was broken by the blast. Light from the explosion was seen up to 180 miles away. We knew the world would not be the same. A few people laughed. A few people cried. Most people were silent. I remembered the line from the Hindu scripture, the Bhagavad Gita… “Now I am become death, the destroyer of worlds.” I suppose we all felt that, one way or another. 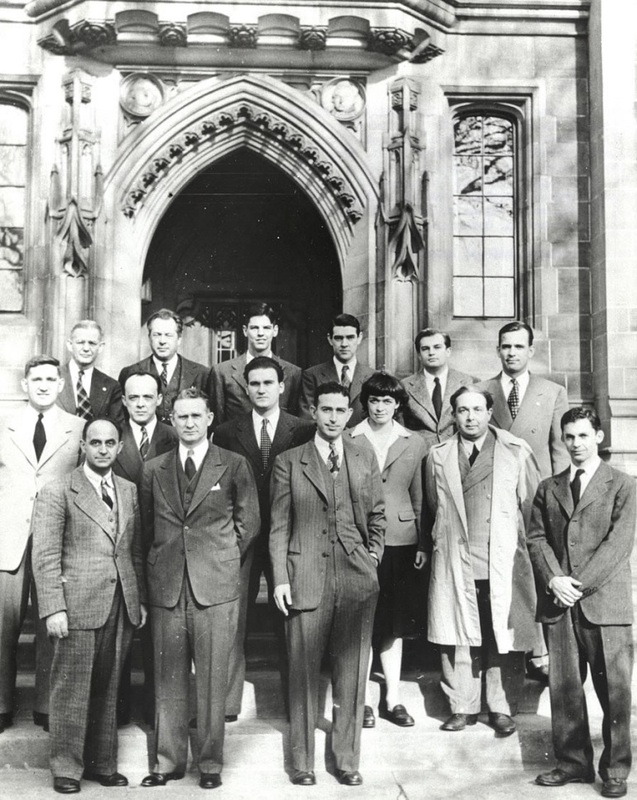 The day after the test, seventy scientists working on the project petitioned the President not to use the bomb on Japan unless Japan was informed of the terms that would be imposed on it after the war and yet still refused to surrender. Petition from Leo Szilard and Other Scientists to President Harry S. Truman [General Correspondence 1940–1950]; Records of the Office of the Chief Engineers, 1789–1999, Record Group 77; National Archives at College Park, College Park, MD [online version available through the Archival Research Catalog (ARC identifier 6250638) at www.archives.gov; June 3, 2016]. 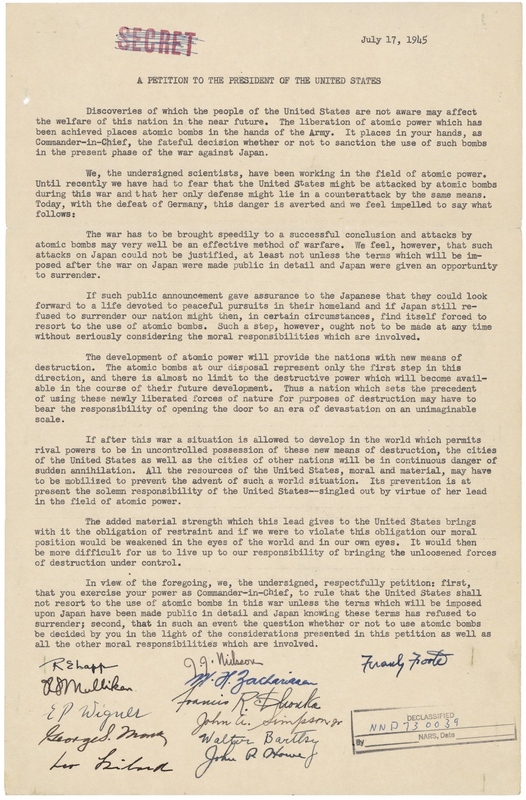 Three weeks later, the United States went on to bomb the cities of Hiroshima and Nagasaki, the first and hopefully last time nuclear weapons will be used in war. 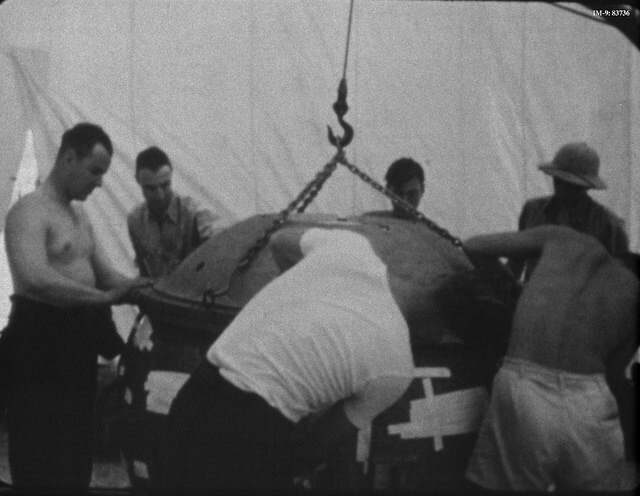 We know that over the past 71 years, 8 more nations have acquired nuclear weapons. And we know that, especially during the Cold War, we have been perilously close to annihilation at times. On this anniversary of the Trinity test, take a moment to remember how the world changed forever that day. The advent of the nuclear age held with it both promise and terror. Let us hope for a day when the cities of the world are no longer held at risk, for a day when we can harness the power of the atom in our fight against climate change and not against one another. 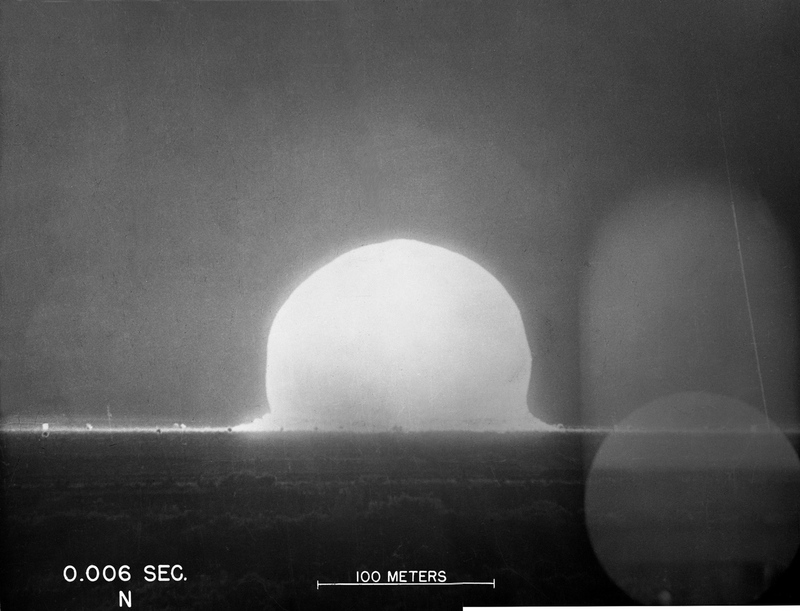 The creation of the nuclear weapon forever changed the world’s future. 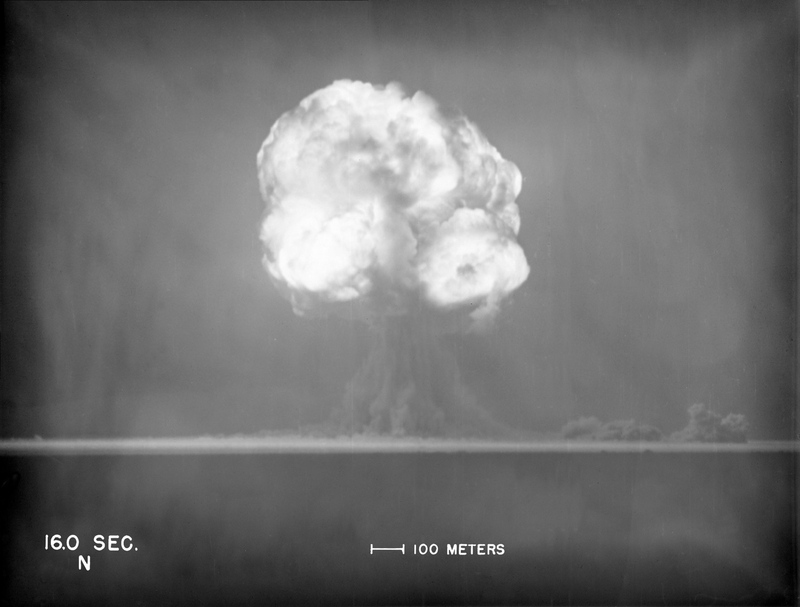 The nuclear weapon has a rich, important past that needs to be remembered. Even with a short lifespan, nuclear power has already done so much to change history.